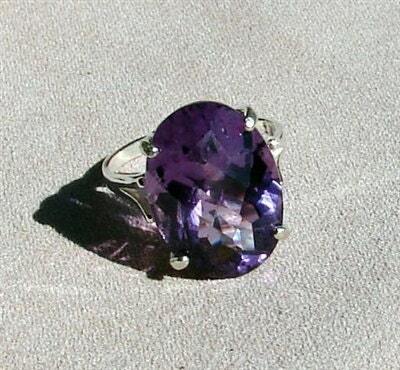 AAA grade 12 carat oval cut natural African Amethyst (13 x 18mm) set in a 4 prong Sterling Silver setting . 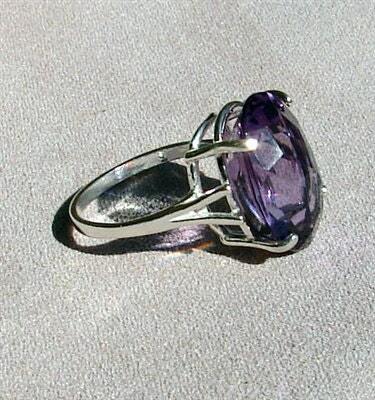 Unobtrusive so the stone is the center of attention . 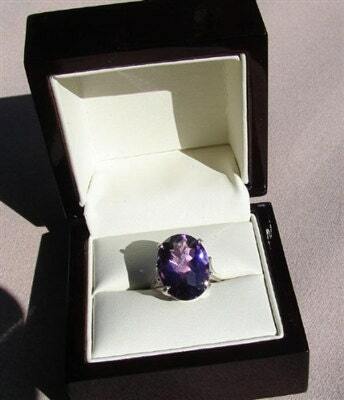 A stone this size can show you a depth of clarity and play with light that smaller stones just aren't able to!